Add a little bling to your bag or key ring! 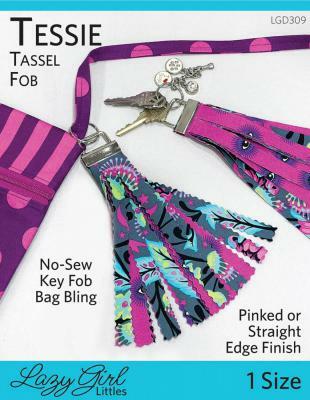 Tessie is a no-sew project: just fuse, fringe, fob, and go! Use a pinked edge rotary blade for a festive finish. Dress up a backpack, use for keys, and make fringe-tastic gifts for your peeps. 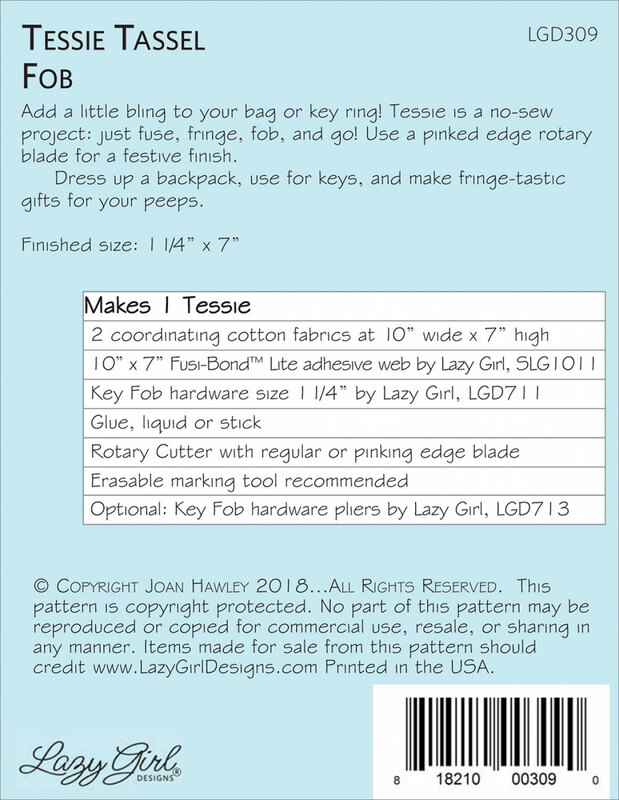 Supplies makes 1 Tessie 2 coordinating cotton fabrics at 10in wide x 7in high 10in x 7in. Use 1 1/4" key fob hardware, Fusi-Bond, Glue Stick (or liquid). For best results, use Key Fob hardware pliers.